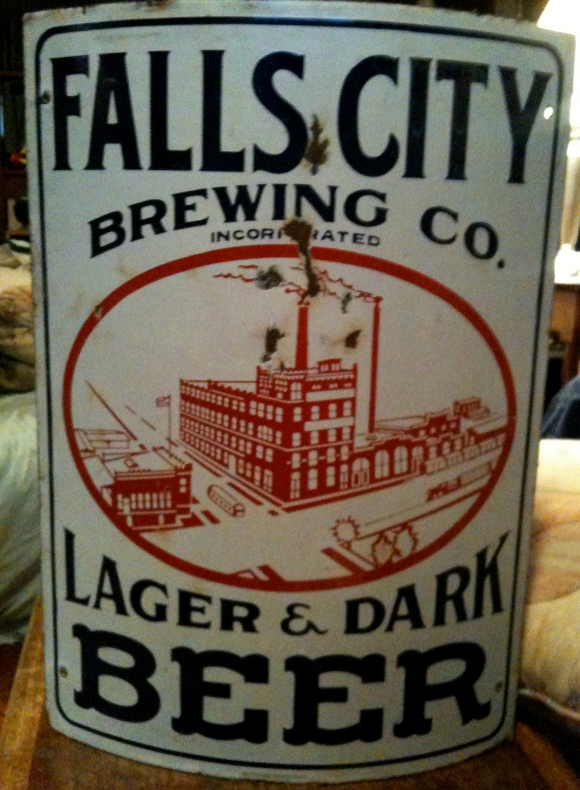 This is a rectangular curved Falls City Brewing Co. porcelain sign. This particular Falls City Brewing Co. sign is white with black text. It reads, “Falls City Brewing Co. Incorporated, Lager & Dark Beer” and features a brewery building in red in the center.